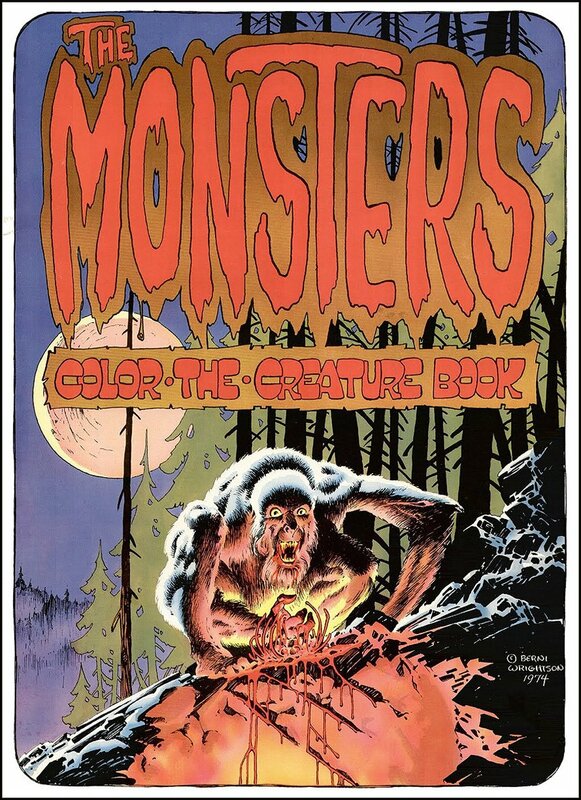 Click Here To See The Monsters: Color The Creature Book! 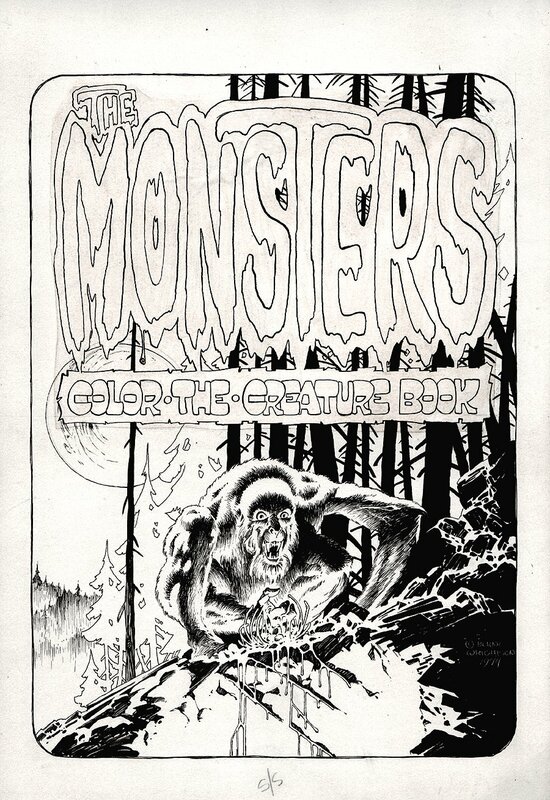 Check out this stunning 1974 PUBLISHED HORROR cover to "The Monsters: Color the Creature Book" drawn by arguably the greatest horror artist of all time.... Bernie Wrightson! This beautiful PUBLISHED cover features an awesome detailed WEREWOLF in a forest as it holds the rib cage of a bloodied human being in his hand! This cover art is drawn in ink over graphite on Bristol board on 11.5 by 17 inch art board. The entire logo area is all hand drawn also on this very special 1974 cover, drawn during the PEAK of Bernie Wrightson's amazing career! No cartoonist can capture the essence of horror quite like Wrightson, and this cover would be a "perfect" example by the Master of the Macabre! From his groundbreaking work on Swamp Thing, into the "Studio" era with colleagues Barry Windsor Smith, Michael Kaluta, and Jeff Jones, and onto mainstream visibility in the 1980's with projects like Cycle of the Werewolf and Creepshow, Wrightson's accomplishments and influence has been as broad as any artist emerging from the realm of comic art. His work in comics and illustration art is in a class by itself among collectors and fans of the medium. Compare this nice cover art to the published book in the red link above! ALL art on our website (including this one) are able to be purchased with VERY fair time payments, and trades are always considered towards "ANY" art on our website! Just send us an email to mikeburkey@aol.com and we can try to work something out.